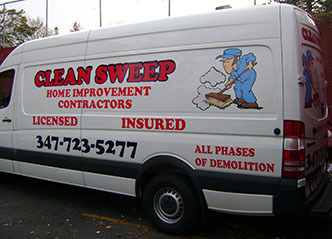 In most cases the main reason for door lettering is to display business information for legal commercial activities. 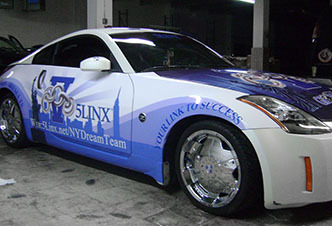 Not doing so eventually will lead to tickets and fines. 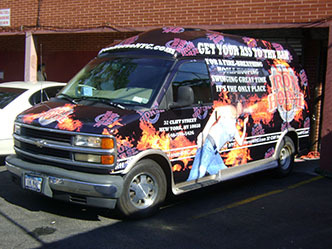 Consult with the appropriate authorities to make sure you display all the information needed. 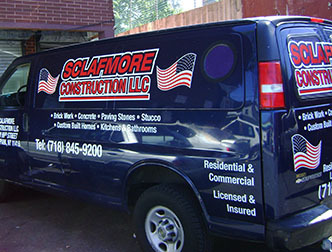 Door lettering is the least expensive way to comply with those requirements. 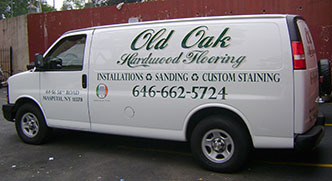 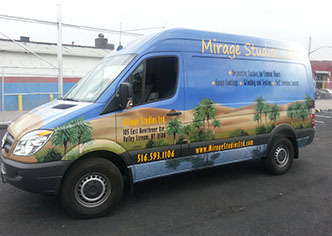 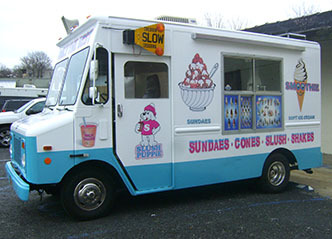 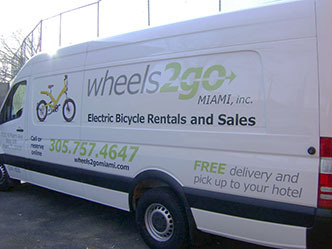 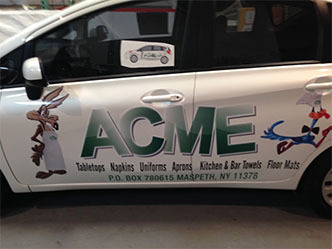 It can be done with installation of plain one color vinyl lettering, two-three color designs and even full color printouts. 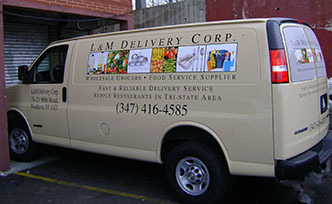 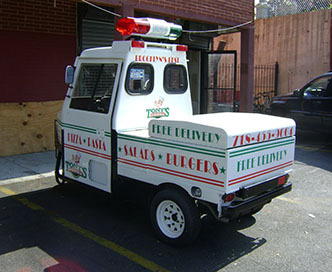 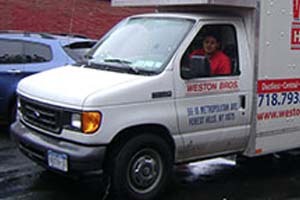 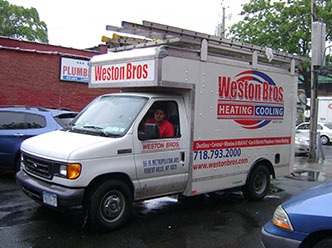 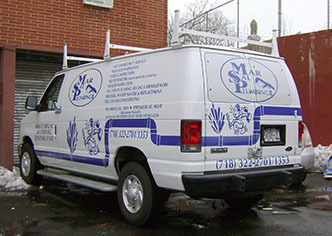 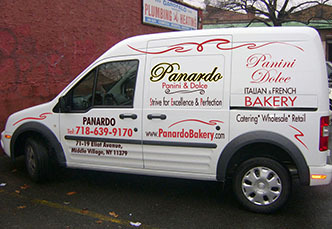 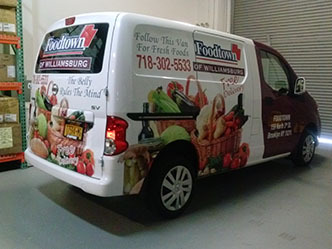 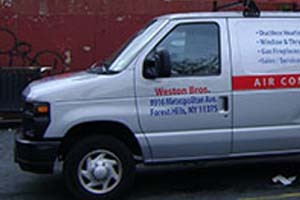 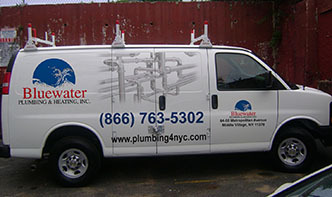 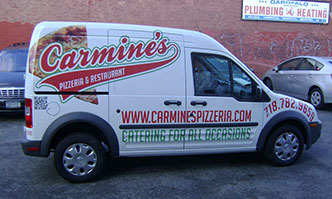 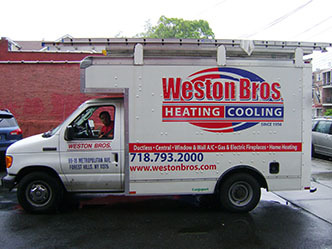 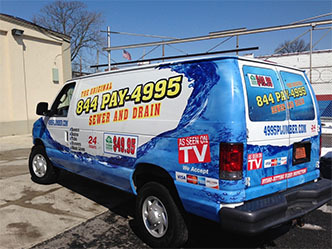 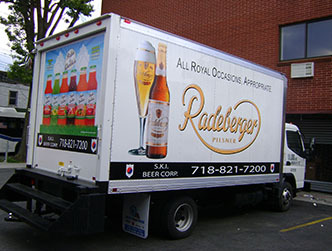 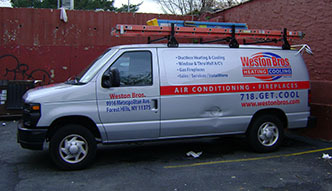 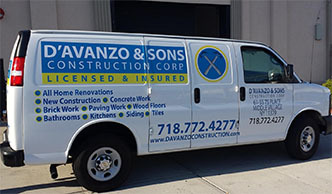 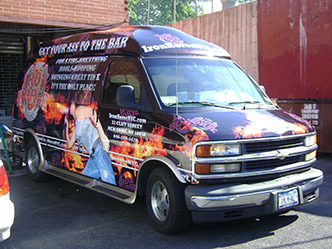 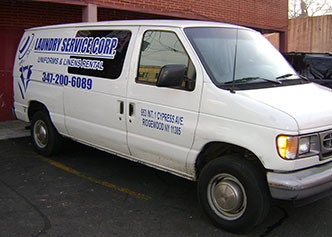 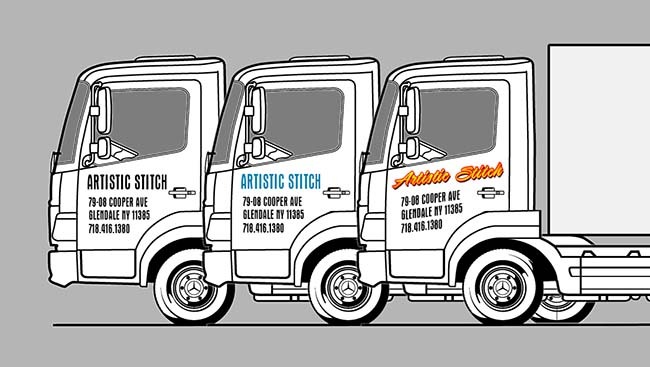 Call us at (718) 416-1380 for options & pricing and all other questions related to door lettering on you commercial vehicles. 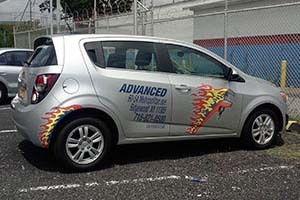 Consider more advanced options too. 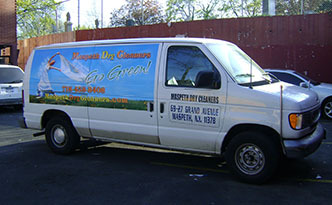 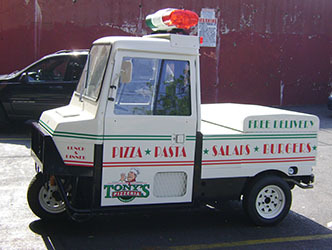 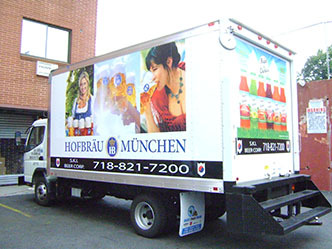 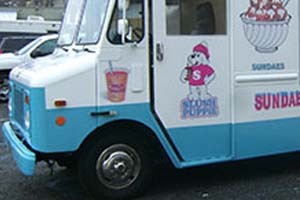 Remember your vehicle will be seen all over New York City by a lot of people and there is your chance to promote your business. 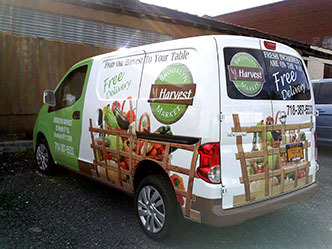 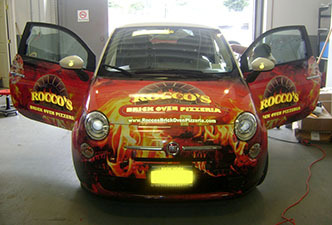 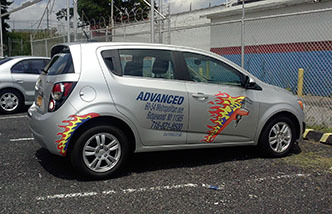 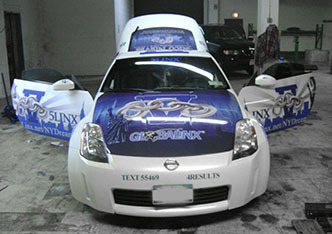 Full Wrap will definitely create a big impact, for more economical solution choose Half Wrap or Allover Lettering. 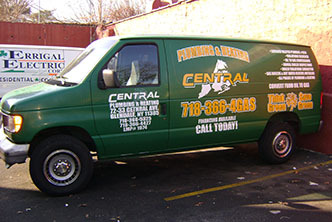 Since we are located in Glendale, Queens (see the map), businesses from all the boroughs of New York City – Brooklyn, Manhattan, the Bronx and even Long Island can easily bring their vehicles to our facility.